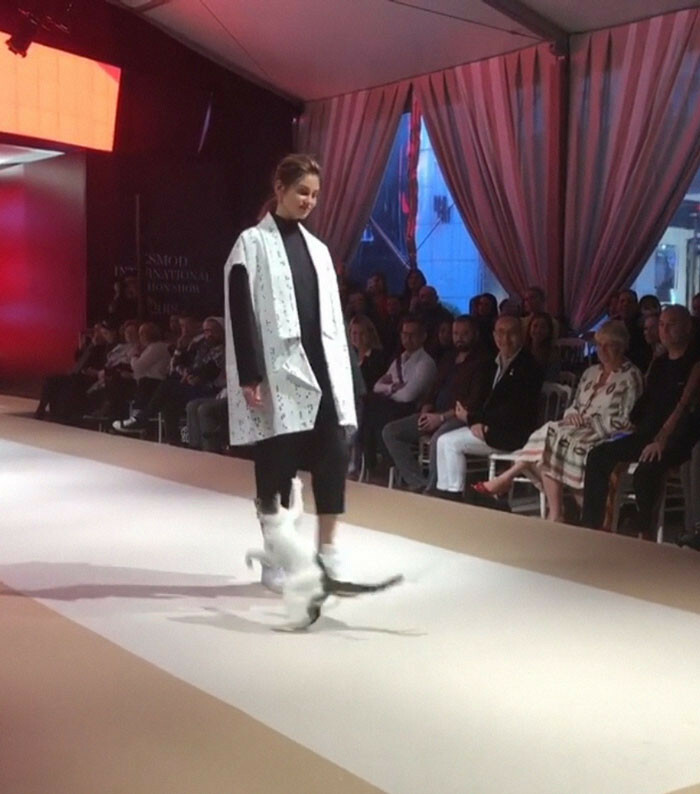 This Feisty Feline Crashed A Fashion Show And Even Tried To Fight The Runway Models! You'd be hard-pressed to find anyone who has ever heard of the Internet say, "cats just don't get enough attention." I mean, they're practically the centre of the universe! 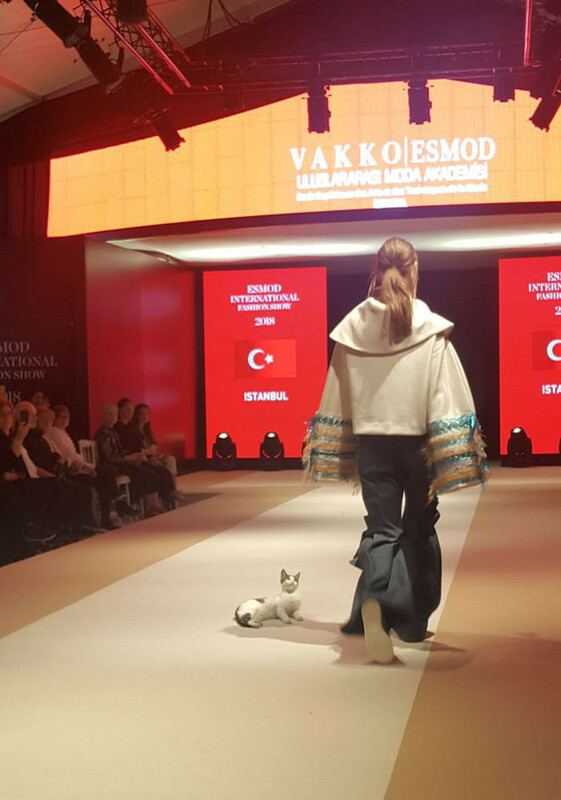 Of course, that's just our feeble-minded human perception, it's clear based on the recent actions of a rouge cat in Istanbul, Turkey, who decided it was time to "put the cat back in catwalk" when she crashed the Esmod International Fashion Show held in Emaar Square Mall. 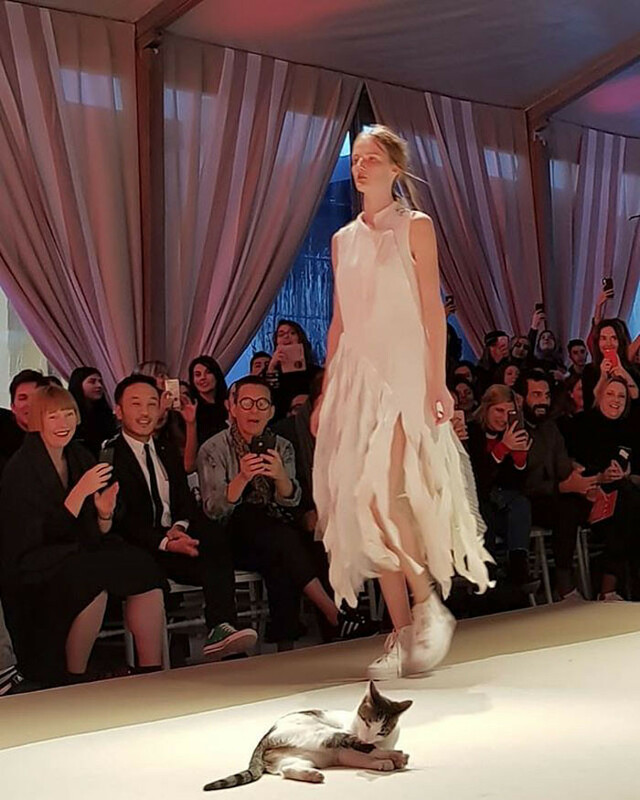 Sometimes the fashion community gets a bad reputation for having a sore sense of humor but it was clear that the onlookers at this surprisingly eventful fashion show were positively delighted! Delighted, indeed! 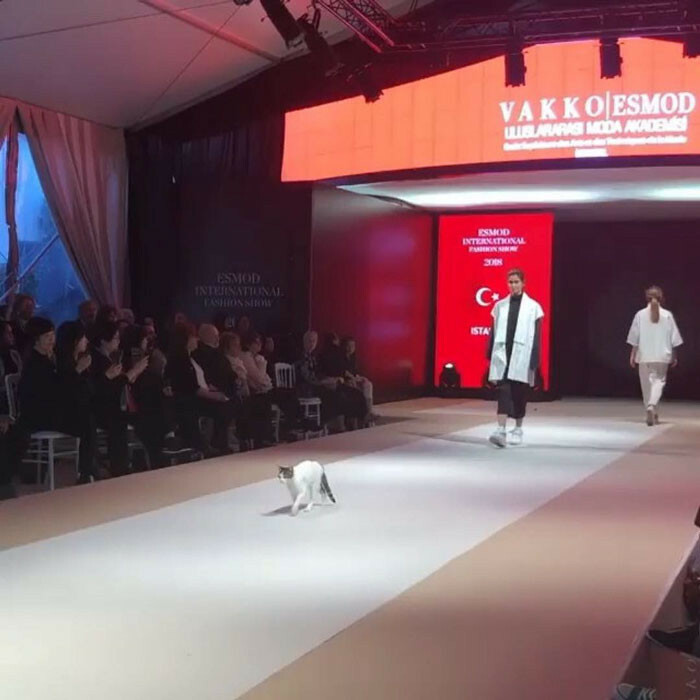 Attendees at the fashion show couldn't get enough of their unexpected guest, going on to flash photos and nab vidoes of the purring puss while she strutted her stuff, bathed herself, and swatted away the competition... literally! It's common practice to keep a serious face when prowling in a fashion show but maintaining composure entirely during a cat-attack would simply prove to be impossible. Models smiled as they passed the cat. Well, I certainly cannot think of a reason why not. She's already an experienced veteran by now. This is probably the single best thing a cat lover has seen all week. If ever a cat was telling a human, "I'm better than you," it is truly this cat and this human. 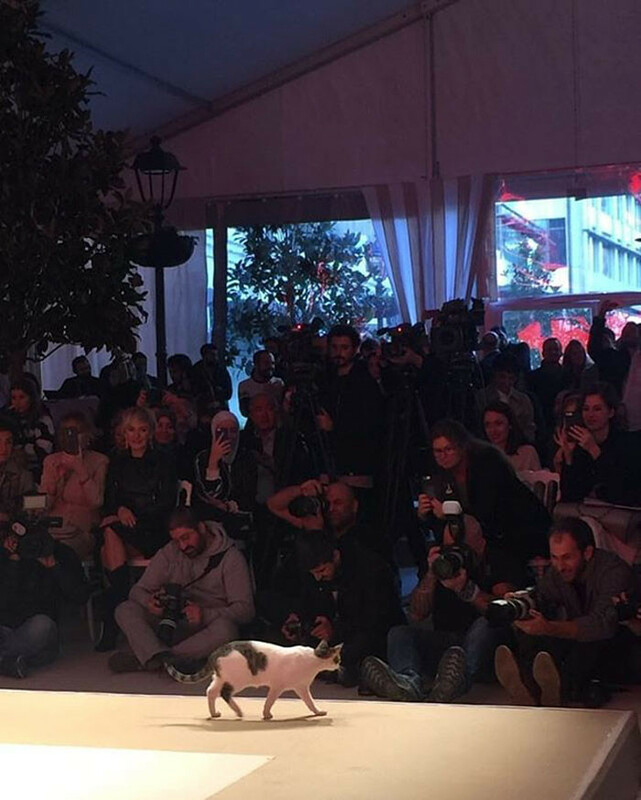 It's clear when you get a view of the guests who are supposed to be watching the fashion show, that their faces are paws-itively adoring their unexpected model's appearance. Even if she bathed herself with no shame for all to see. The stray cat really stole center stage several times, it's clear from this angle that photographers couldn't help themselves but snap some great shots of the frisky feline. Don't listen to me... watch for yourself! You're in for a real treat today, folks. I did mention that video footage was caught and I did not lie! Check out this video posted on Instagram and have all the giggles you'll need for the day.